Chinese soccer will develop along more professional lines and the national team is expected to perform better in major international tournaments, following the hiring of World Cup-winning coach Marcello Lippi, soccer insiders say. Lippi, 68, who led Italy to its most recent World Cup triumph in 2006, was named head coach of the national team on Saturday by the Chinese Football Association. 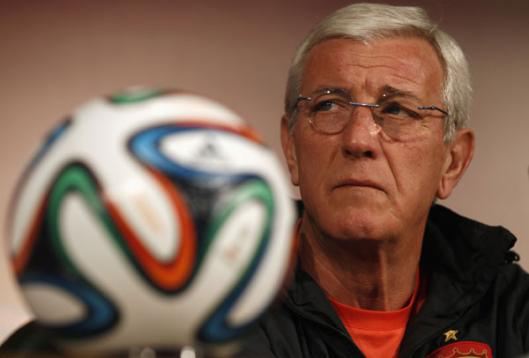 "I am proud to announce the start of a new adventure as coach of the Chinese national team," Lippi said, after signing a contract with the CFA on Saturday in Guangzhou, Guangdong Province. "It will be a very tough and challenging job for Lippi," Xie said. "But coaching by a top-class talent will definitely mark the beginning of a new era for Chinese soccer. Lippi might not successfully take China to Russia, but a professional management approach will be of great importance for the development of Chinese soccer." Robbie Fowler, a former Liverpool and England striker, said he hoped the Chinese national team would develop under the coaching of Lippi. "Whether you are in the Chinese national team or any other, if you have a manager who is technically very good and will bring out the best in your players, then you will develop your game," he said. 1. What does Marcello Lippi do? 2. How old is Lippi now? 3. Lippi signed the contact with CFA in _______. 4. From the passage, we can know _______. 5. The passage may be ______.